Roberto Martinez has picked his preliminary 28-man squad for the FIFA World Cup 2018. But, can Belgium go all the way? We take a look. Belgium is a nation that does not boast a rich World Cup history. While they have participated in the competition 12 times, the Red Devils only really have one memorable campaign to talk about, when they finished 4th in the 1986 edition. But, if their performances in Brazil 2014 is anything to go by, the “Golden Generation” might just have what it takes to finally deliver a World Cup triumph, having only lost to eventual finalists Argentina in the quarter-finals. Roberto Martinez’s men coasted to qualification in record breaking fashion, winning nine of their ten games. The Hard Tackle now picks apart the squad that the Belgium boss has selected and analyses whether the Red Devils have what it takes to lift the Jules Rimet trophy for the very first time. Drawn in Group G alongside Tunisia, debutants Panama and perennial under-performers England, Belgium could have a tricky time in the group stages, but should fancy themselves to top the standings. The Red Devils will begin their campaign on June 18 against Panama, before going on to face Tunisia on the 23rd. Roberto Martinez’s men will then wrap up their group stage assignment with a potential table topping fixture against England on June 28. Eden Hazard will lead Belgium for the second successive major international competition. But, as is the case, more often than not with World Cup squads, there were players who were unfortunate to miss out due to injury, while one or two omissions raised everyone’s eyebrows. 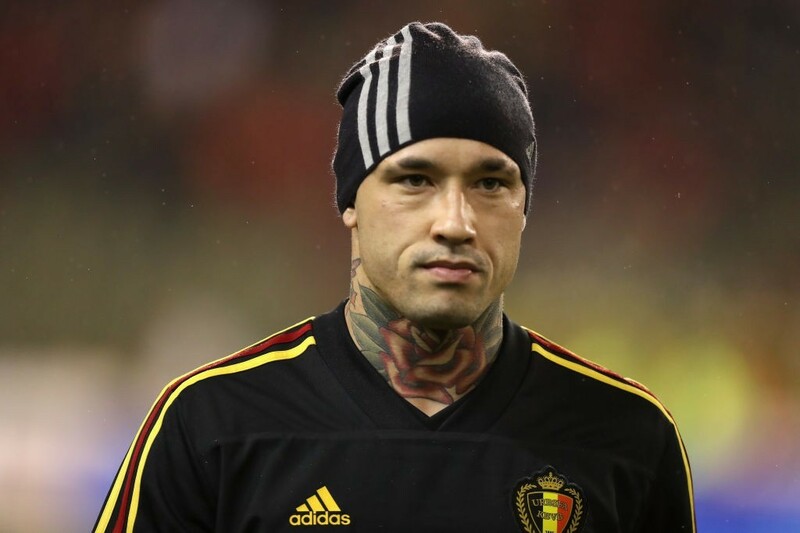 Steven Defour was unlucky to miss the cut due to his season-ending knee injury, but Radja Nainggolan was a shocking exclusion for the Red Devils, even though he had only featured for 96 minutes in the qualification campaign. Martinez has had his differences with the AS Roma superstar, but not many expected him to leave the midfielder back home for the World Cup, considering he has been one of the most important players in the side’s advent on the international scene. While Martinez iterated that the exclusion was due to tactical reasons, and that he had delivered the news personally to him, Nainggolan later announced his retirement from international football. Meanwhile, there were one or two surprise inclusions. The likes of Jordan Lukaku and Laurent Ciman seem to have made the squad due to a shortage of options in the wing-back slots. Nacer Chadli though, was the biggest surprise, having played just 410 minutes of club football this past season. Roberto Martinez took over the reins of the Belgium National Side from Marc Wilmots in the aftermath of the UEFA Euro 2016, which ended in an underwhelming quarter-finals ouster at the hands of Wales. After facing defeat in his first match in-charge against his home nation, the Spaniard has overseen a 16-game unbeaten run. Martinez has subsequently guided the Red Devils to a record qualifying campaign that saw them be the most prolific side, with a staggering 43 goals in just 10 games. He will now be hoping to continue this golden run and oversee a popular World Cup triumph. The fact that he has a very settled squad at his disposal will only make his job easier, with most of the starting eleven being automatic selections. At the back, Thibaut Courtois is not just likely to make the cut in the final squad, but also be the first-choice goalkeeper. Ahead of him, Martinez has usually preferred a 3-4-3 formation to provide more stability at the back, with the experienced trio of Toby Alderweireld, Vincent Kompany and Jan Vertonghen completing what should be a solid back-three that is expected to keep things tight. Laurent Ciman and Jordan Lukaku are likely to only be backup options for the wing-back slot, with Thomas Meunier and Yannick Carrasco usually preferred in the wide areas to provide a burst of pace. In the middle, De Bruyne will be the creative force, combining with Axel Witsel, who will provide a tireless burst of energy. 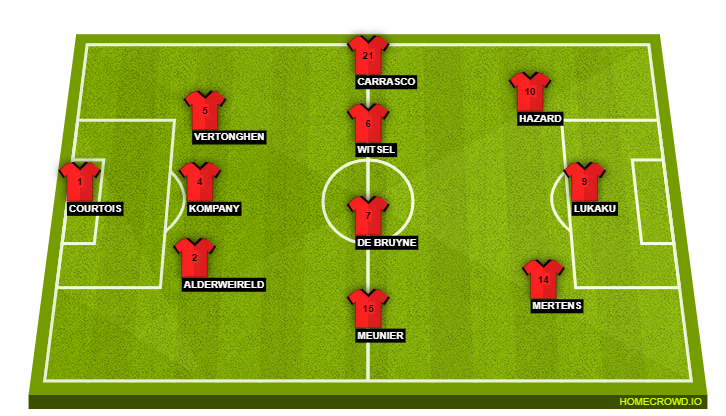 The attacking triad is pretty settled as well, with Eden Hazard, Romelu Lukaku and Dries Mertens usually preferred. While Lukaku will be the target man and will have several crosses coming his way, Mertens and Hazard will get free roles behind him and will look to bombard the box to look for scoring opportunities. Belgium have a largely straightforward group to look forward to, with Tunisia and Panama unlikely to pose much of a problem to them. The only real competition that they face will come in the form of England, who can be very unpredictable and can cause a problem. 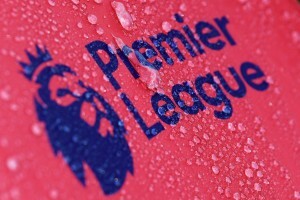 Nevertheless, the Red Devils should ideally progress from their group without facing a lot of competition. Should they win their group, another lowly opposition is likely to await them in the Round of 16. 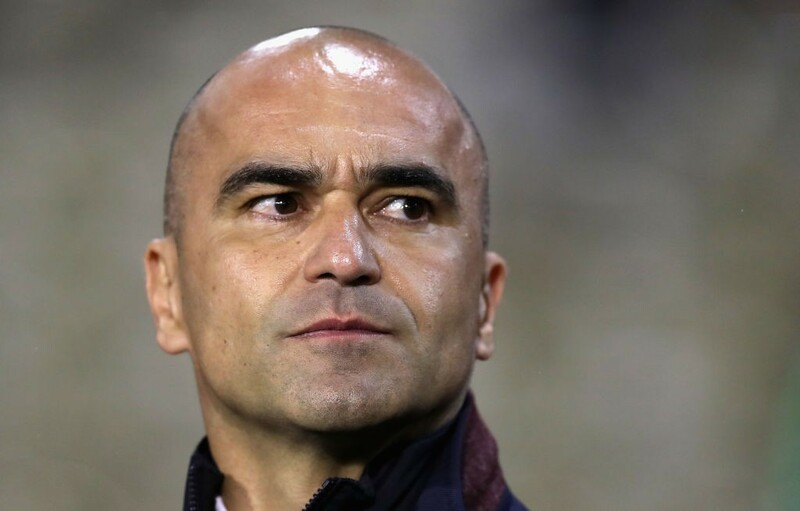 With an experienced and settle squad at his disposal, Roberto Martinez’s Belgium should again be the dark horses. In fact, anything below than another quarter-final finish should be chalked off as a failure. But, Martinez & co. should ideally fancy their chances of progressing well into the latter stages unless the unit goes on to underperform.